Our new Winter menu has just been launched and is perfect for warming up during the next few months with a glass of wine overlooking the estate. The perfect excuse for a Winter escape down south or a long lunch if you are lucky enough to be a local living the dream in our beautiful wine region. Be sure to sample some incredible local produce with the best of the south west's ingredients on show. Winter is the ideal season to indulge and our new menu has plenty of options. With Blue Ridge marron, Manjimup black truffles, local venison and foraged mushrooms... the toughest decision will be what to indulge in. 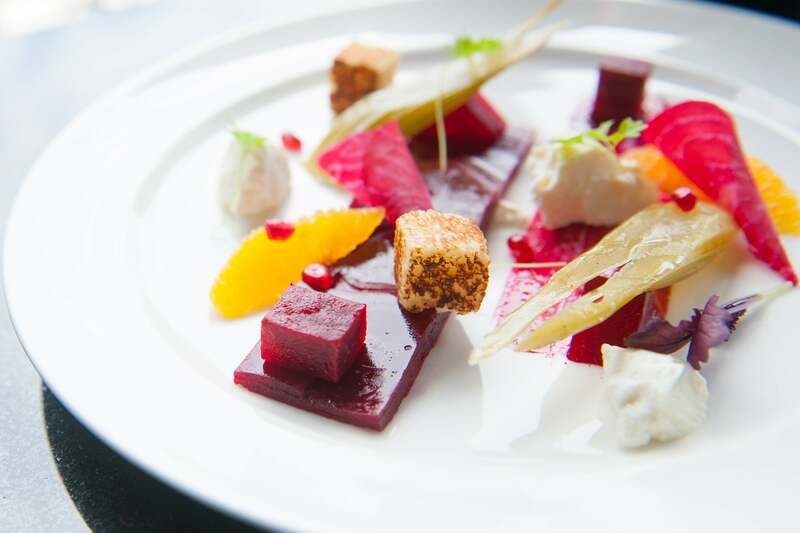 Head Chef Ben Day has his own fresh twist on utliising the incredible seasonal and local produce from the South West. Entrees include the Chewy Beetroot Tart with lilly pilly, goats curd, hazelnut and thyme and the Blue Ridge Marron with marron Dashi, soba noodle and pickled kohlrabi. Mains such as the Fresh Pappardelle with local mushrooms, kale, Manjimup truffle and reggiano are perfect for a lighter option or for a heartier feed, Roasted Pork Belly and the Local Venision served with parsnip, rhubarb, native pepper and salt bush are both sure to delight tastebuds. Those with a sweet tooth have not been forgotten, choose the perfect finish to a meal from our Glazed Chocolate Dome served with dulce de leche and px prunes or Slow Cooked Quince with mulled wine syrup, cultured cream and hazelnut crumble. Bookings essential on 9750 1111 and the full menu can be seen online here. New season, New look, New Menu.